One year after the sudden death of his second wife, Alicia, Alfred married Jessie Dew Ball in a quiet ceremony. Jessie, 20 years his junior, had been a teenager when Alfred had first become acquainted with the Ball family more than two decades earlier. He and the Balls remained close over the years, and Alfred and Jessie corresponded sporadically. The Balls had moved to California, but in 1920 Jessie, now in her mid-30’s, returned East for an extended period and her relationship with Alfred grew stronger. 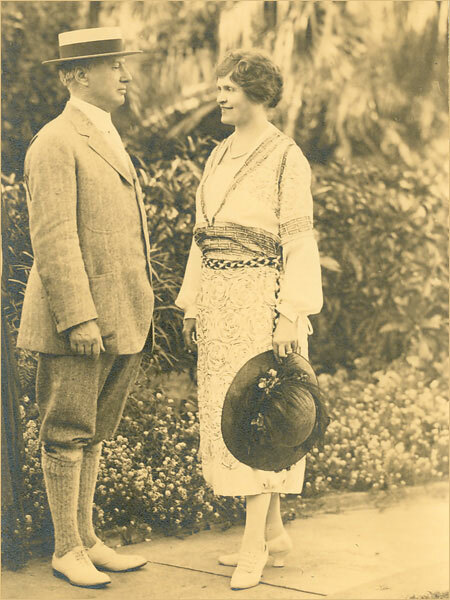 After their marriage, Alfred and Jessie traveled to Florida several times and in 1925 decided to settle in Jacksonville. They built a mansion, Epping Forest, and Alfred became involved in a number of successful enterprises. His goal was more than making money; he was also deeply committed to helping Florida and its residents establish sound financial institutions and a modern industrial base.